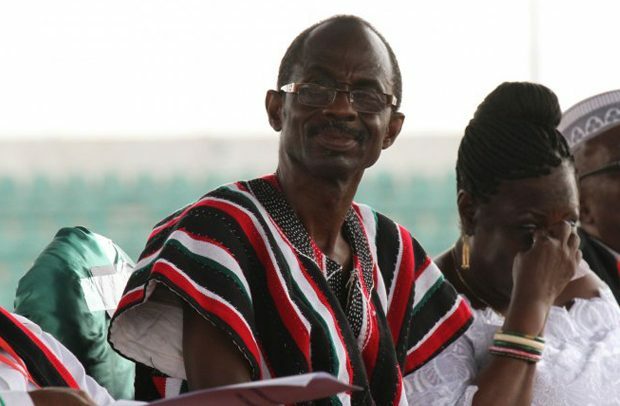 The General-Secretary of the National Democratic Congress (NDC), Johnson Asiedu Nketia, has stated that the weird manner in which government is implementing the National Identification Card project can lead to war and bloodbath in Ghana. He accused the New Patriotic Party (NPP) government of trying to use dubious means behind the scenes to prevent some genuine Ghanaians from registering and holding a Ghana Card to show that truly they are Ghanaians. According to him, citizenship is the birthright of every individual therefore any attempt by the NPP government to deny some Ghanaians their birthright can lead to anger with its attendant civil unrest. He asserted that the NDC had realized that the NPP administration wants to adopt foul means to deny many Ghanaians their citizenship and that might lead to chaos hence the NDC would fight the government to prevent it from occurring. Addressing NDC Constituency Youth Organizers in the Ashanti Region in Kumasi on Sunday evening, he accused the NPP of trying to use the Ghana Card project to win the 2020 polls after failing to deliver in political office. He stressed that the NDC had never kicked against the Ghana Card project as the NPP is erroneously trying to portray, indicating that the NDC is only against the decision of the NPP to use a national project to aid its political agenda. “The Ghana Card project is a good thing and the NDC is in full support of it. The card can lead to proper development, identification of genuine Ghanaians and also help to reduce crime rate, among other several benefits”, he said. However, the NDC scribe indicated that the NDC’s only concern is about NPP’s decision to throw away the voter register of about 15 million Ghanaians, which helped the NPP to win the 2016 general election. According to him, statistics show that only about 7 million Ghanaians have birth certificates and so if the government relies on the birth certificates alone to register people, surely, a lot of Ghanaians will unjustifiably lose their birthright. Using neighbouring Cote D’Ivoire as a case study, he said an attempt to prevent some nationals of that country from holding a similar national card led to civil war for about 10 years, which led to destruction and loss of human lives. In this regard, he stated that the NDC would continually oppose the approach and decision of the NPP to use the Ghana Card project to enhance their political course, until the right things are done by the sitting government. The event saw the Ashanti Regional NDC Constituency Youth Organizers being presented with certificates by their leader, Yaw Brogya Genfi, who is now vying for the NDC National Youth Organizer position.